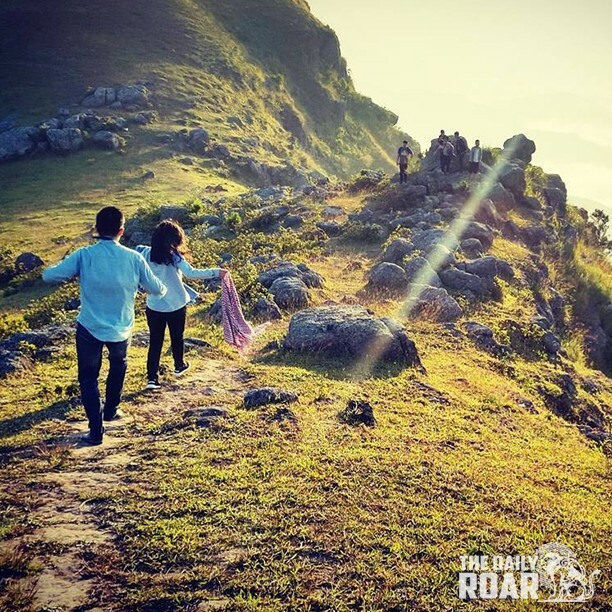 There are for sure many beautiful and wonderful places in the city of Vietnam, but the fact remains that there are but few known locations where it’s suitable for camping. Known as an ideal holidaying destination where can one camp and relax without fear for safety. Considering the geographical characteristics, some of the suitable sites that you can camp in are situated in the mountain and highland areas. Here is a list of the best places to go camping in Vietnam. Dong Mo is the name of a lake which is about 40 kilometers away from the center of Hanoi and Son Tinh is the name of a campsite located right beside the lake. This site is very suitable for picnic, camping and boating on weekends. There is also a resort with views on the large Dong Mo lake and artificial islands, spreading out on an area of 200 hectares near Ba Vi Mountain. 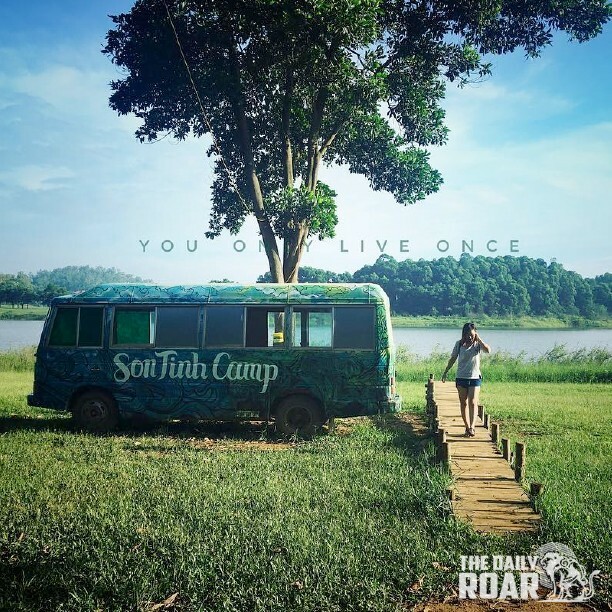 Son Tinh campsite is totally dedicated for an outdoor picnic and camping space. The tents are pre-pitched, so you don’t need to bring one. Bathrooms are available together with other necessary facilities and services. However, tent rental price is not cheap at all. A night tent for a family with view overlooking the lake costs you about 400,000VND, 2-person tent costs 250,000VND for 24 hours. An underquilt for hammock will surely cost less. Mount Ham Lon is belonged to Doc Ton range at Soc Son district, Hanoi. The mountain is about 40km away from city center and you can take the same way to Noi Bai. The peak of Ham Lon Mountain is only heighted at 462 meters above sea level so it’s perfect for a small weekend trek to the top. Of course, fully prepared with your underquilt for hammock, camping here just got warmer and cozier. You can camp either on the top of the mountain or the official Suoi Bau lake’s campsite below. 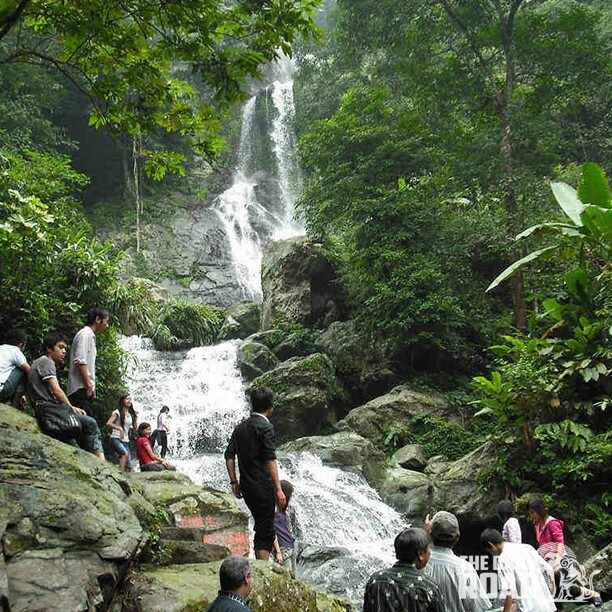 Da Han waterfall, about 50 kilometers from Saigon, is a tourist complex of Dong Nai province that offers outdoor recreations, group activities and camping space with stunning natural scenery. 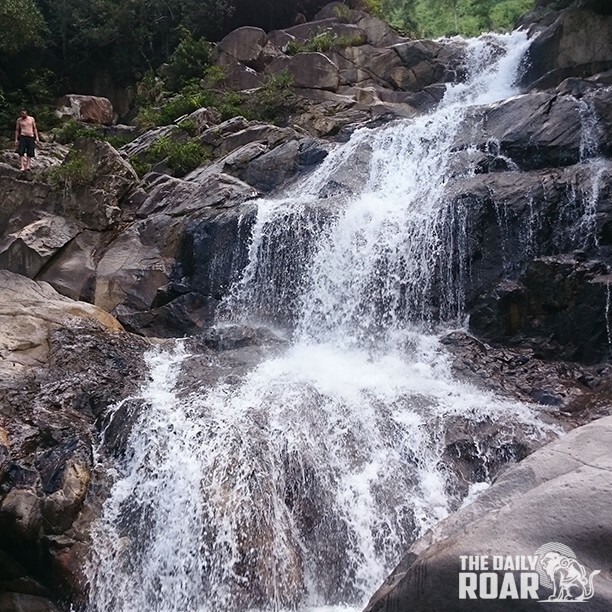 The main feature of the complex is the three waterfalls which are Da Han, Chang, and Nang. The legend tells that at these waterfalls there lied a couple who jumped down together because they could not be together. Come to Da Han, alone or with group, you can easily rent a tent or a hut next to the stream with prices ranging from 50,000 to 70,000VND per day. There are also services for swimming, fishing, garden visiting, adventure games like off-road car race, mountain biking. There is also a market you can buy fresh fruits and vegetables, souvenir stalls to buy gifts of the countryside. Ba Vi national park is already famous among local and foreign travelers. Every weekend during summer and early autumn, hundreds of youngsters on their motorbikes flock here to enjoy the cool and clean air and the great scenery of the nature. The large pine forest allows for camping and you can set up your own tent here or rent it for 150,000VND to 200,000VND for a 4 people tent. They also can prepare the campfire for you with price up to 1mil – 1,5mil per night and there are many more services. It’s best to go by motorbike; you can park your bike here overnight for only 3,000VND per night. Central Vietnam has quite a collection of beaches and islands therefore there are many beach campsites and tourist complex. Even the beach resorts offer tent renting or lend you the shore. 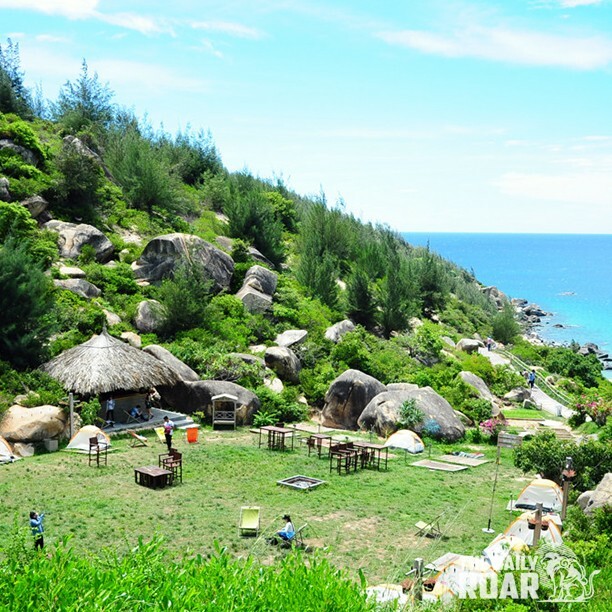 This new official campsite is about 30 kilometers away from Quy Nhon city, belonged to Trung Luong village, right beside Trung Luong beach. Trung Luong campsite is part of Trung Luong tourist area which is to be a culture – nature – Eco complex in near future. In 2016, two major features of the area which are the campsite and Tien Canh restaurant have opened to public. 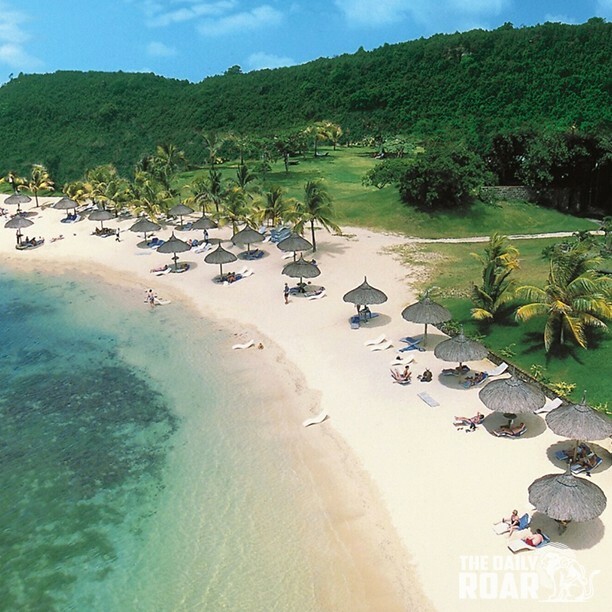 The camp ground is lawn covered and embraced by rocky hills with one side facing the sea. This must be the campsite that has the most beautiful scenery and setup in Vietnam with both hills and beach. The tents placed in circles, leaves the central ground for common activities like parties and games. There are chairs placed around and campfire in the middle. Tien Canh restaurant found just right beside is where you can find great foods and drinks in reasonable prices. Coco Beach Camp of Cam Binh beach is located at Lagi ward, Binh Thuan province, about 180 kilometers away from Ho Chi Minh city. This beach camp, opened in 2015, is becoming trendy because of its youthful theme, great services, and very reasonable price. 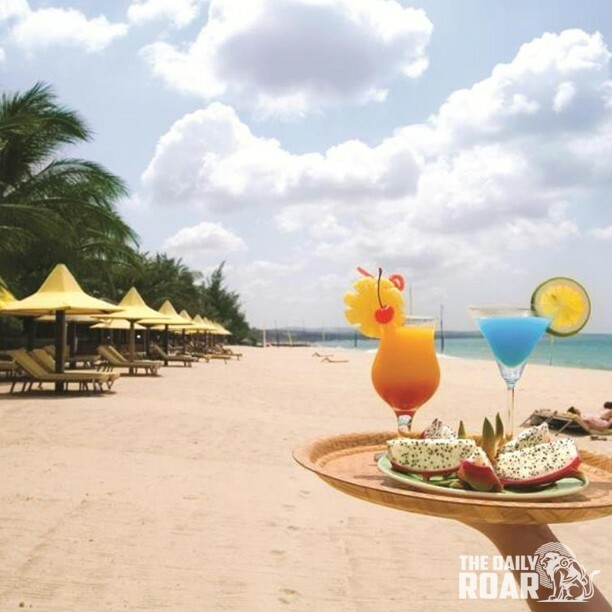 Cam Binh has an amazing long, wide and white beach which is very suitable for camping and partying. The tents are pre-pitched and set up nicely on the shore. There are variations of tents with excellent quality, in assorted sizes and can fit for groups of people. Hammocks, chairs, tables and even beds are also set everywhere around the beach. Campfire at night is doable since firewood is available. Entertainment you can find activities such as stand up paddle, kite surfing, kayaking, diving, cycling, trekking and other sports here. There is a villa around the beach (5 kilometers) where you can enjoy more luxury services. LU Camping is an exciting tourist area situated on the ever blue Ke Ga beach, 33 kilometers away from Phan Thiet city. This campsite is new and has westernized and youthful theme. The sleepers are made by wood, shaped in hexagon. They are set together to make it look like a cool giant beehive. Each hexagon room is priced at 100,000VND per night. There are also pre-pitched tents on the shore for rent at 75,000VND per night. The container rooms are most expensive at 300,000VND per room. The setting and services are very creative and free spirited with beach bar, jeep cars, UTVs, jet ski. LU Camp also has services like taking you to Ke Ga lighthouse and beach by canoes or jeep cars or UTVs to watch sunset. 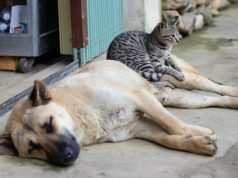 Cat Tien national park spread on three provinces that are Dong Nai, Lam Dong and Binh Phuoc, about 160 kilometers away from the hustle Saigon. 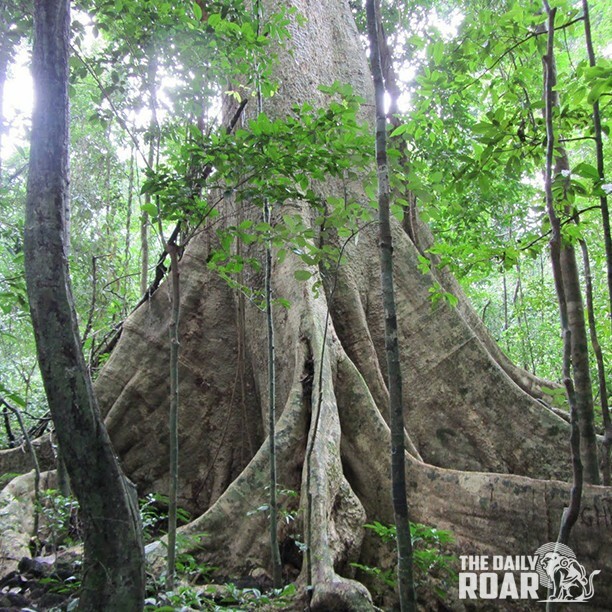 Nam Cat Tien is one of the best places to camp in the south for its green and cool forests. You can not only camp here but also have a trekking tour, bicycling tour to discover the wilderness of nature. Tents for rent at 80,000VND to 200,000VND per night or you can just bring yours. 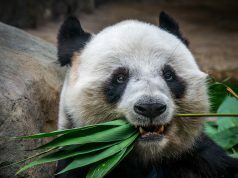 Sites to check out are Ben Cu waterfall, botanical garden, crocodile pond, Mo Vet waterfall tour, animal watching tour. Since Phu Quoc island is perfectly legal for all tourists, it’s also ideal campsite for foreigners. There are countless places you can make a tent around the island from beaches to forests and mountains. For beach, Bai Sao (Star Beach), Bai Dai (Long beach) or Ong Lang beach are most suitable for camping with their long, stretched shore and blue sea water. If you don’t bring tents, you can always rent one from the resorts here. Camping sites abound in Vietnam, scattered all over north, central and south of this beautiful city are locations that promises an amazing tent holiday. 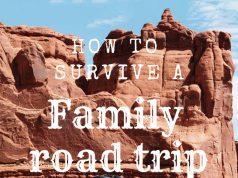 Using the list above I hope you find yourself a wonderful spot for a great camping night. Don’t forget your hammock underquilt though!